I a Finnish artist, specializing in equine art, but all animals are close to my heart. I paint other subjects too, concentrating on the positive. Here I want to talk about my art and show you pictures of my works in progress. My website: Click here to visit Leenashorses! And if you wish to buy my designs as prints, notebooks, T-shirts, mugs etc, you can do so here: Click here to visit Leenas Art! 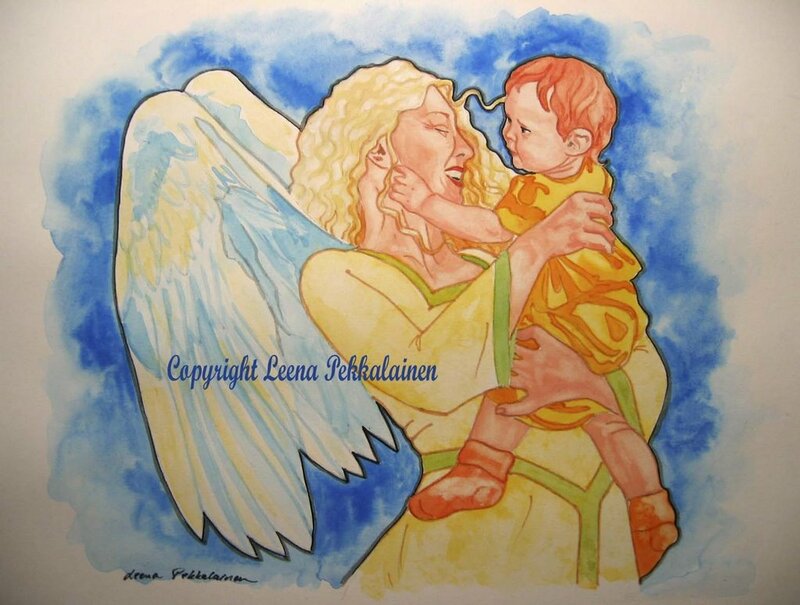 Here´s another angel I painted. This is gouache on paper.